Bay mare with star and narrow strip. Classic Fino mare with tremendous power and drive. Very FINO mare with beauty and quickness. ALWAYS in the ribbons in Amateur Owner and Open Fino classes! 2001: PFHA 6th National Champion A/O Fino Mare; Southern Regional High Point A/O Fino Mare. 1999: 1999 Southern Regional PFHA High Point Reserve Classic Fino Mare and Reserve Classic Fino A/O Mare. 1998: PFHA Reserve National Champion A/O Fino Mare, Honorable Mention in A/O Fino Championship, PFHA 5th National Champion Fino Mare. 1997: PFHA 5th National Champion Fino Mare, 6th National Champion A/O Fino Mare. 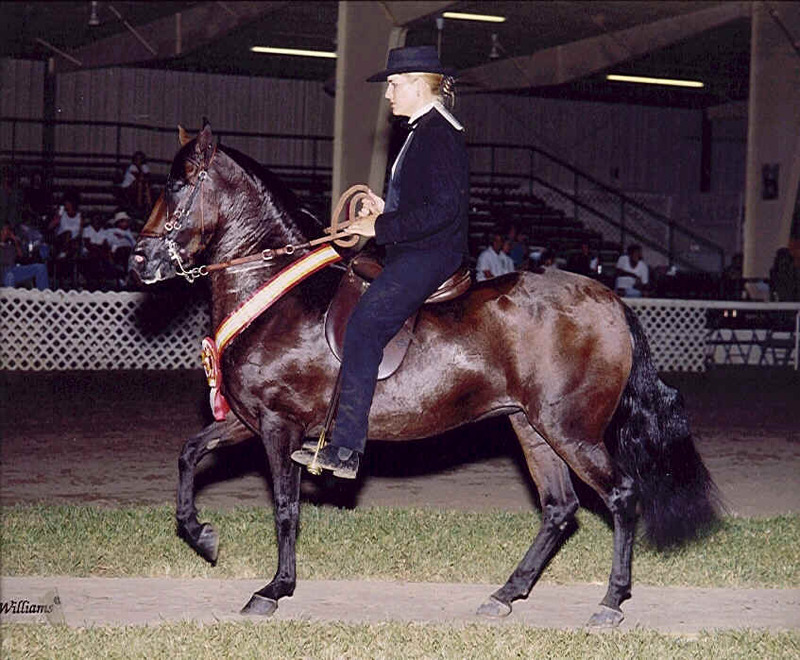 1996: PFHA 5th National Champion Fino Mare, 4th National Champion A/O Fino Mare. Bred to Prominente de Colores (Classico/Artillera de Besilu) for April 2005 foal. PRICE: SOLD! Congratulations to Angel Pietri!